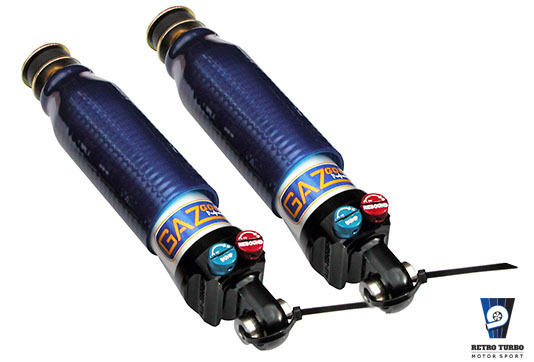 Volvo 740 /940 Series GAZ GT twin adjustable dampers. These telescopic dampers will enhance track handling capabilities of your Volvo during competition racing. These shocks have increased cartridge diameter holding more oil plus purpose build racing valve. 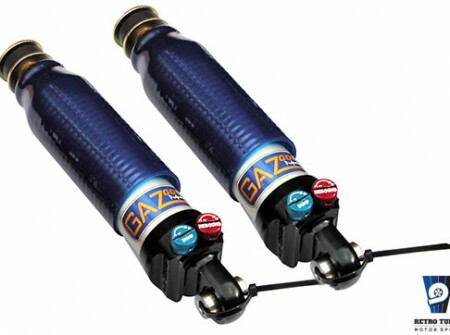 GAZ GT series offers 40 point fine adjustment and separate adjustment knob for bump and rebound. Open length -40 mm to OEM. This unit can be custom built in various open and closed lengths on customer request! Please note that dispatch time can take up to 4 weeks as shocks are custom made to order only. SKU: 740GAZrearShock40twin. Category: Coilovers KIT, Shocks, Volvo 740 940 Series Parts. Tags: GAZ GT, volvo dumpers, volvo shocks.